Weather its your business or home, you worked hard for it. 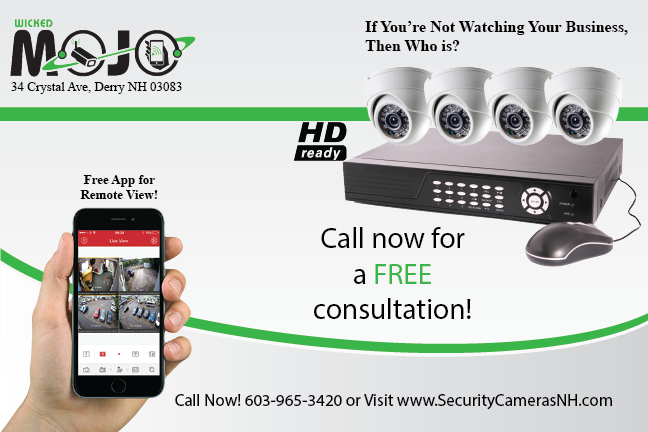 Our professionally installed security camera systems give you peace of mind knowing you can monitor right from the palm of your hand, 27x7. Ultra HD, IP, HD TVI, Wireless.... there are a lot of choices when it comes to a security camera system. We do more then install your cameras. We help you find the best solution and because we are independent you get what works best for you NOT just what we sell. Having problems with an existing system? We are able to troubleshoot and repair almost every type and make of security camera system. We will gladly come to your business or home and get your camera system working again. New construction, large space, unique layout or needs, don't know where to start. Let our expert work with you on designing a security camera system around your goals and needs. We will work with your G.C or team every step of the way and make sure it's done right the first time. If you find yourself needing more then a surveillance system, we are available to help with a variety of security products. Remote or key-less entry, Remote door access control systems, video and phone intercom systems, wireless door entry and so much more. Security camera systems let you protect your property, your people and your best interest. CALL TODAY to schedule a no hassle, no obligation consultation with one of our security experts. We can work with you to figure out the best options in protecting your property or business.